Many people filing bankruptcy in NJ are unaware that in addition to the federal bankruptcy exemptions, there are state specific exemptions. Although rare, the New Jersey state exemptions sometimes allow a debtor to exempt and retain more of their individual property than would be possible under the federal scheme. 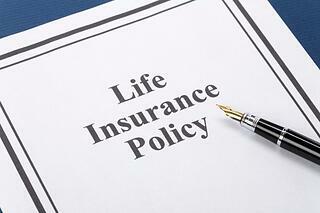 Life Insurance is one such example. Under the New Jersey state exemption scheme, any proceeds that a debtor receives from a term life policy of a deceased spouse are deemed fully exempted from creditors of both the insured and the beneficiary of the policy. N.J.S.A. 17B:24-6. Under the federal exemption scheme, such a life insurance policy would be exempt only to the extent reasonably necessary for the continued support of the debtor and his or her dependents. 11 USC 522(d)(11)(c). Thus, if a debtor filed bankruptcy and chose the federal scheme, the Trustee appointed to protect the interests of creditors, could attempt to recover the life insurance proceeds and pay existing creditors from such proceeds; under the State scheme, such a policy is exempt and the Debtor would receive the entire proceeds from the life insurance policy. For example, in one case our firm represented husband and wife debtors who did not have any assets above the federal exemptions, but both debtors did have term policies naming each other the beneficiary. Tragically, the husband suddenly passed away after the filing of his petition, leaving his wife as the beneficiary of a one million dollar ($1,000,000.00) life insurance policy. Our firm was able to successfully amend the clients' schedules to choose the state exemption scheme, and fully exempt the policy. This allowed the wife to receive a discharge of her debts, which were over $200,000.00, as well as receive the full amount of the life insurance proceeds. There are many issues similar to this, where our attorneys, as experienced practitioners in the bankruptcy field, can help to guide clients, and make certain that their rights are protected. If you are considering a bankruptcy in New Jersey, contact us online call us for a FREE phone consultation and speak to one of our New Jersey or New York bankruptcy attorneys to discuss how to best proceed. Our law firm offers bankruptcy solutions and legal strategies to clients throughout cities and towns of New Jersey, including but not limited to Wayne, Hoboken, Newark, Jersey City, Paterson, Orange, West Orange, South Orange, Irvington, Belleville, Maplewood, Clifton, Wayne, Passaic, Fort Lee, West New York, Morristown, Guttenberg, Union City, Weehawken, North Bergen, Paterson, Hackensack, Englewood, Livingston, Bloomfield, Little Falls, Hillside, Union, Kearny, Harrison, Fairfield, Caldwell, Garfield, Lodi, Totowa, Bayonne, North Bergen, Weehawken, Union City and Secaucus, and Passaic County, Hudson County, Essex County, Bergen County, Union County, Sussex County, New York, Manhattan, New York County, Bronx County, Brooklyn, Long Island, Queens and Staten Island.